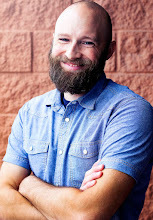 Kyle Worley is the author of Pitfalls: Along the Path to Young and Reformed. He blogs at The Strife and is an assistant editor for Manual, the men's blog at CBMW (Council of Biblical Manhood and Womanhood). He serves on staff at The Village Church Dallas and tweets at @kyleworley. In student ministry, I often hear small group leaders and parents bemoan the apathy that students have towards studying God’s word. Students will often say, “I don’t like to read,” or, “I’m just not much of a reader.” While I readily admit that it is not necessary that every young Christian share a passion for the written word, I believe that there is a deeper issue at play than personality differences and leisure time preferences. I believe that there are three reasons that we should encourage literacy among our students and two opportunities we will miss if we don’t cultivate a deep passion for the life of the mind among young Christians. I don’t simply mean that we should teach our students “how” to read words on pages, but we should teach them how to weigh, evaluate, and entertain ideas. When we do this, we will help cultivate a desire to know God’s word (the greatest Book) and at the same time, prepare them to be released as ministers of reconciliation into a world that is a flurry of competing narratives, worldviews, and ideas. 1.) We are soaked with Word. Christians are a people who are soaked with “word.” We were created by the word of God, saved by the person and work of the incarnate Word of God, and we are equipped for the work of God by the word of scripture that God “breathed out.” God has not left His people in silence. He has spoken, saved, and sustained His people by the power of His word. We see a beautiful picture of this in Tolkien’s The Silmarillion, in which the world is created from the song of the Iluvatar and Ainur. The world is fashioned by the songs and words of the “heavenly host.” The rest of Tolkien’s word rests easily in this world in which songs and stories of lore are not merely fanciful depictions, but communicate the deepest cosmic truth. 2.) All truth, beauty, and goodness belong to the Lord. Romans 11:36 says, “For from him and through him and to him are all things. To him be glory forever. Amen.” Doesn’t that say it all? God is not merely the source of all truth, beauty, and goodness, but the standard by which every claim to truth, goodness, and beauty should be judged. If we are going to send our students out into the world as “ministers of reconciliation,” than we must send them out knowing how to assess the truth, goodness, and beauty present in the stories they will encounter in the world. The Gospel is a story, a true story that consists of a setting, conflict, and hero. Yet, there are countless aberrations and perversions of the true Gospel story, both within the Church (legalism, consumerism, and antinomianism) and outside of the Church (syncretism, nihilism, and materialism). The way that we train our students to unmask “stories” that make false claims to truth, goodness, and beauty is by training them to read and love God’s word. 3.) We are to love the Lord with our mind. Christians should view literacy as doxological. God created us to love the Lord with our mind. The life of the mind, in student ministries, is often devalued by a false dichotomy between the heart and the mind that is either implicit or explicit in our preaching and discipleship. We find ourselves in the midst of a culture that seems allergic of meaningful dialogue. Sure, there are thousands of monologues broadcasted everyday on news stations and talk shows, but very little conversation is happening. If we train up young Christians to critically engage the world around them, then we will be preparing them to have meaningful dialogue with people of various worldviews. Francis Bacon famously said, “Reading makes a full man; conference a ready man; and writing an exact man.” If we are going to winsomely and persuasively engage the lost world around us, we must have something to say, be articulate enough to say it, and precise in saying exactly what we mean. Encouraging literacy among our students will go a long way to developing young Christian minds in order that they can hold various narratives, worldviews, and ideas up to the measure of truth, goodness, and beauty contained in God’s Word. This is a repost of an article Kyle wrote for Rooted: Grace-Driven Youth Ministry.